A lot of us rely on our internet connection to finish some important work projects, research for school essays, have an intense gaming session, or just to relax and watch some of our favorite shows online. However, when the internet suddenly starts lagging or even drops entirely all because someone wanted to skype their friend, this can be a frustrating thing for the whole household. Having an unstable internet connection can be a real problem in our digitally connected world, and if there’s more than one person living in your house, than it’d be wise to look for a way to get a faster internet connection. Dead zones are especially common for homes that only have one Wi-Fi waypoint and no Wi-Fi repeater since most of the time, the Wi-Fi signal doesn’t reach all corners of the house. Luckily, compact wireless adapters can plug right into your computer or laptop as they boost your local connectivity for faster internet, less lag, and less stress. There are many adapters with different features depending on what your needs are. 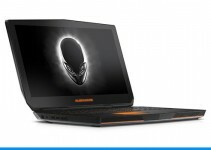 Some are better for laptops and some are better for PCs, and there are also some with different signal strengths for whether you need a generally faster connection or the best connection possible for your highly internet-dependent activities like online gaming. This adapter is ideal to have if you’re an online gamer or like to stream videos in HD. Its maximum speed reaches up to 433Mbps at 5GHz or you can switch to 150Mbps at 2.4GHz if you’re just surfing the web or chatting online. 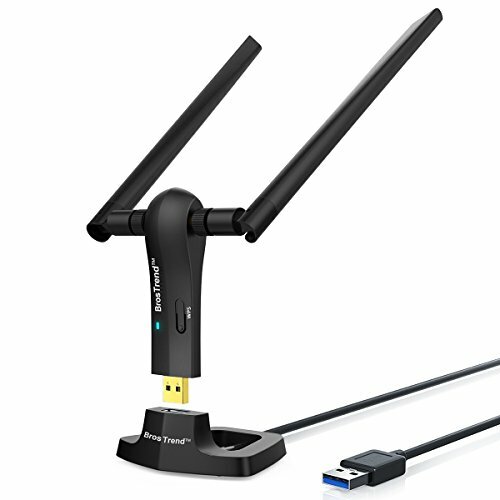 It easily plugs into the USB 2.0 interface of your laptop, PC, or Mac and the detachable and adjustable dual band antenna provides high performance and increased coverage for your Wi-Fi network. Although because of the antenna, it may get in the way if you choose to plug it into your laptop. If you have Windows 10, drivers aren’t required for this adapter to work since it’s as simple as plugging it in and it works with any Wi-Fi router. It’s compatible with Windows 2000 and up to Windows 10 along with Mac OS 10.4-10.12.1 and comes with a CD driver installer (or you can use the driver download link on the manufacturer website). 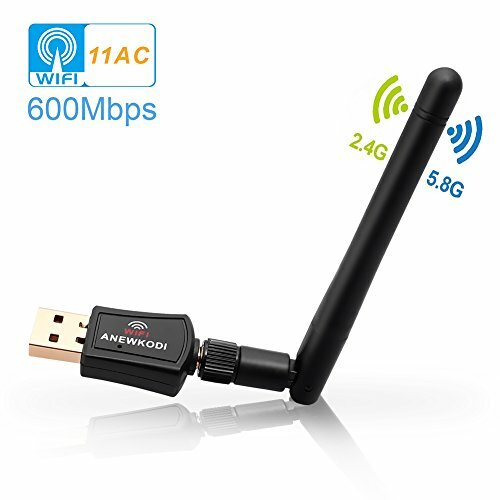 For a hassle-free and reliable internet connection, this adapter supports either a 2.4GHz and 5.8GHz WLAN network connection for a super fast AC600 (433+150 Mbps) wireless speed with 802.11ac. It features a sleek and portable design so that you can take it with you everywhere you go which makes it suitable for work, school, home, cafes, or even outdoors. 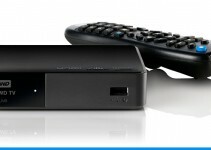 HD and lag free video streaming and gaming can be very possible with this device since it provides truly wireless and consistent Wi-Fi all day. 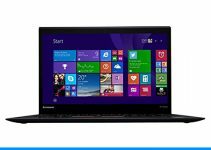 Its plug and play technology keeps you from installing confusing internal hard drive software and supports Windows XP all the way up to Windows 10, along with Mac OS 10.4 – 10.12. The detachable antenna makes for a stronger and faster connection without worrying about any pesky wires. Aside from PCs, laptops, and Macs, you can also use this adapter for tablets, smartphones, DVD boxes, notebooks, or any other internet mobile bearing device. The EDUP adapter is one of the most powerful and most recent devices in Wi-Fi technology. It has the ability to upgrade your PC, laptop, or Mac’s Wi-Fi connection to about 802.11ac making it three times as fast as any wireless-N speeds. 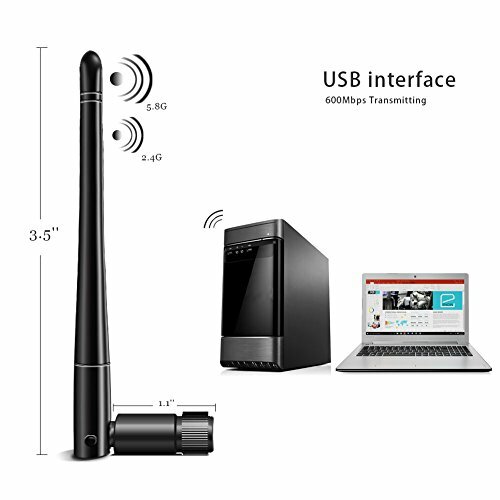 It has a 2dBi omni-directional antenna making it great for those who want to watch seamless HD videos and enjoy gaming online without having to worry about connection drops or annoying lag that can mess with your day. This innovative mini-design adapter gives a high speed of 600Mbps from 2.4GHz up to 5GHz depending on how fast you need your connection to be. It supports system such as Android, Windows XP, Vista, Windows 7-10, Mac OS 10.6-10.12, and Linux. It’s also compatible with 802.11a/b/g/n and AC Wi-Fi routers while the dual band reduces any kind of interference for better connections to Wi-Fi devices. 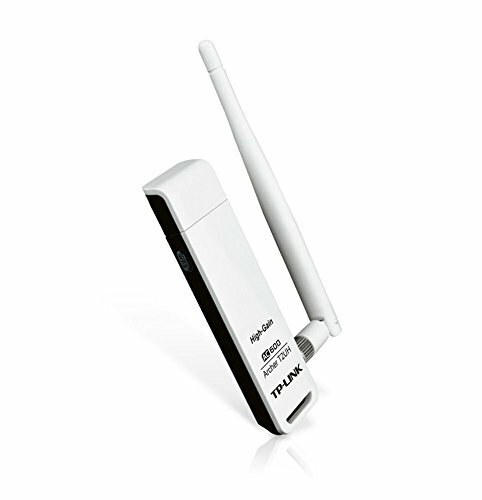 Able to work with any Wi-Fi router, this 802.11ac wireless adapter has a Wi-Fi speed up to 600Mbps on 5.8GHz or 2.4GHz bands to upgrade either your PC, Mac, or laptop for more reliable connection and extended range. These speeds give you great performance to reduce lag, drops, and freezing when it comes to streaming or gaming. The adapter is easy to install for all you have to do is use the driver CD, online download link or simply plug in the Wi-Fi adapter (if you have Windows 10) to your device’s 2.0 USB interface to connect to your Wi-Fi with client mode or to create a hotspot with AP mode. It’s able to work if you have Windows 2000, XP, Vista, 7-10, Mac OS 10.4-10.11, and Ubuntu Linux 2.4/2.6. The adapter’s antenna is able to rotate 360 degrees allowing you to adjust the antenna’s direction for cases like stowing your laptop away in your bag. This adapter is a lot more discreet than dongles with an antenna since its size is just slightly bigger than a quarter. It works with any 2.4GHz wireless g/n router and its maximum wireless connection speed reaches up to 300Mbps, supporting both infrastructure and ad-hoc modes. The Panda PAU05 can upgrade any computer to the latest 802.11 standard and its low power consumption extends the battery life of your laptop or Wi-Fi device rather than draining it quicker. It supports state of the art standards-based security features such as 64b/128bit WEP, WPA, and WPA2 in order to stop unauthorized users from gaining access to your wireless network. Window Vista and 7-10, Mac OS 10.4-10.9, Ubuntu, Fedora, and openSUSE are compatible with this device and works with any computer with an available USB port, a 1GHz CPU, and 1GByte memory. You can enjoy mid-range Wi-Fi connection with the Panda adapter, especially if you’re on a tight budget. With a tiny and slick all-black design, this USB adapter supports Windows Vista, XP, and 7-10 but unfortunately not Mac OS systems. It’s ideal for connecting to Wi-Fi hotspots in your house, avoiding lag and congestion in active online households, and HD gaming and streaming for those lazy afternoons. For optimum performance, the adapter should be paired with a selectable 3×3 dual band (2.4GHz and 5 GHz) router like the Linksys EA4500 for faster speed at a further range. Its maximum speed reaches up to 450 Mbps for fast wireless transfer rates thanks to its leading 802.11 wireless-N technology for top performance. The adapter’s WPA2 security keeps your network protected from Wi-Fi leeches and the adapter cable allows for flexible laptop or desktop connection. It can be easily installed by CD and can be plugged into your computer’s 2.0 USB port, but it can be a bit inconvenient if your computer doesn’t have a CD drive. Powerful enough to reach even the deepest corners of a large house, the BrosTrend adapter has a 1200Mbps speed, making it one of the best Wi-Fi adapters for online gamers. The antennas boost your connection’s maximum reception for any computer and is portable so you can take it anywhere with you. It has two antennas plus an internal antenna for extended reach and it uses both the 2.4GHz and 5GHz band for speed and reliability. 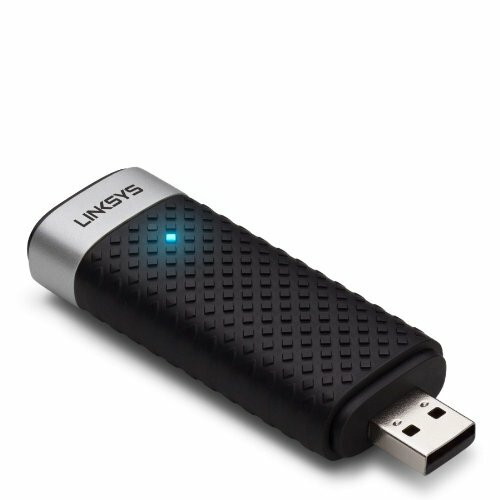 Compared to the 2.0 USB interface, this adapter uses a 3.0 USB interface which moves data at an extremely fast rate (although it is also backwards compatible with USB 2.0) and supports Windows XP and up, Linux, and Ubuntu, but not Mac. You don’t have to be a tech guru to hook it up for all you need to do is plug and play. While it’s not the most ideal adapter for portable laptops because of its larger size, you can place it on your computer case or on your desktop connected to the extension cable that comes with it for optimal positioning. This adapter is compatible with Window, Mac, and Linux, and this particular model makes it easy to install for all you do is plug and play. It reaches speeds up to 300Mbps and can extend Wi-Fi connection at a range of 300 meters, which is handy for larger households. 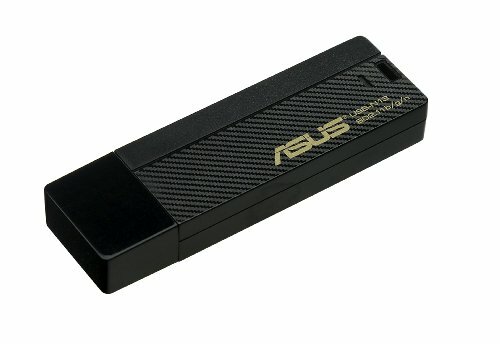 You need reliable connection in order to smoothly stream videos or play games, and this adapter does just that. Aside from having a far-reaching wireless range, it can also be connected with an extender cable for custom placement. This is a nifty feature for those who have older computers or computer parts that don’t have the strongest internet connection. It may be a little difficult to set up considering this adapter’s many features and options, but you can still expect to experience some high speeds after creating a secure local network. Ideal for those that are always on the go and want the ultimate portable adapter, the TP-Link nano USB adapter has an incredibly minimalistic design that allows you to plug it into a laptop without worrying about breaking an antenna. It only sticks out a couple centimeters and provides a strong signal that’s great for use with laptops, PCs with Windows 8 or higher, and updated versions of Mac and Linux. This is a nice solution for slow home Wi-Fi setups or if you just want to have a local hotspot that others can access. The adapter has a bright green LED that lets you know that it was installed properly and it’s picking up a signal. You can get speeds up to 150Mbps with 802.11 b, g or n, allowing you to transfer data up to three times the speed compared to older standards. Although, if you don’t have an updated router, the best band you may experience is 2.4GHz. 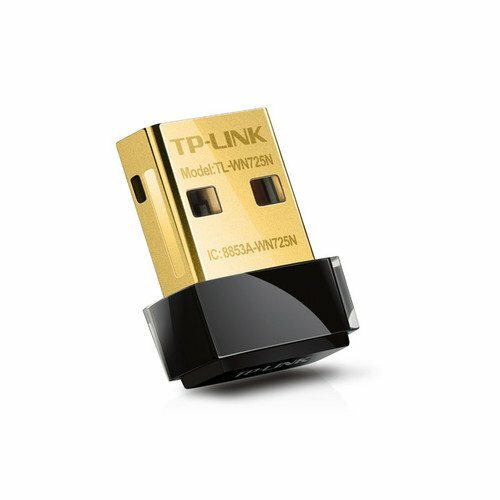 If you need an adapter to boost your Wi-Fi bandwidth for regular internet use, the TP-Link high gain adapter is an optimal choice to stop network lag and spontaneous dropping. It supports Windows XP and up along with Linux and Mac OS (10.7-10.10) systems. You can easily plug the adapter in your laptop or PC and the external antenna provides maximum connection flexibility. Although because of its size, it may be a bit bulky if you’re planning on using it on your laptop. The adapter comes with 2.4GHz and 5 GHz speed options, but you can use either one for faster downloading, streaming, or gaming. It can be installed using the CD that comes with it or the manufacturer’s website for the driver download. Aside from plugging it into a 2.0 USB interface, you can also use the 3-foot cable if you wish to place it on your desktop.